Thursday, February 2 ~ 11:45 a.m. - 1:00 p.m. 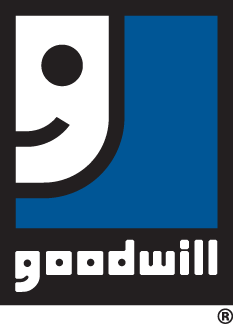 Please join Goodwill for the next BAC Meeting on Thursday, February 2 at Asheville's Fun Depot. The topic will be: Achieving Internet Marketing Success in 2017 with keynote speaker Sarah Benoit, owner of Creative Original, Inc. and Director of Training at JB Media Group, LLC. Sarah Benoit is a consultant, strategist, and educator dedicated to making the field of Internet marketing accessible and understandable to business and marketing professionals. She has worked in the Internet marketing field since 2003 and began teaching and presenting on related topics in 2006. Sarah provides timely, relevant, and engaging classes and seminars designed to help both advanced and beginner students expand their skills and gain a better understanding of the role web sites and the Internet play in promotions, networking, and marketing for businesses and organizations. She has presented to groups large and small across the country on a wide variety of communications and marketing subjects. A business owner herself for 13 years, she founded Creative Original, Inc., a small business web development and consulting firm in Asheville. 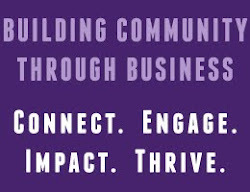 She is also an on-going online marketing and social media instructor for AB-Tech Community College, the AB Tech Small Business Incubator, and Asheville SCORE. Lunch will be served, courtesy of Fun Depot. Space is limited; please click on the link below to register.